Church Road in Frampton Cotterell closed for six weeks in July/August to install a high-tech replacement road bridge over the River Frome. It reopened to through traffic on 1 September following the bridge installation on 24 August. 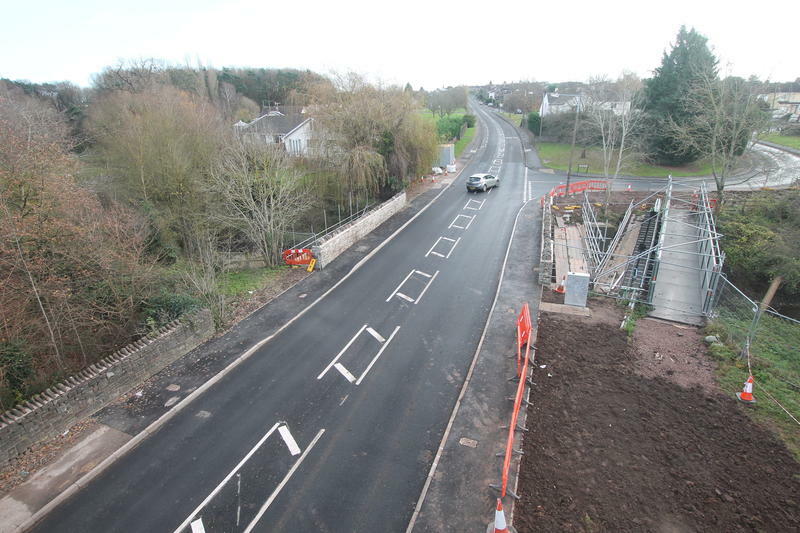 Temporary traffic lights are in place while final works are carried out to re-divert utility cables and complete the bridge parapets. It’s anticipated that the bridge will reopen fully in late November. The new bridge is one of the first in the UK to be made from layers of glass and carbon fibres bound together with a tough resin in a process more commonly seen in advanced passenger aircraft manufacturing. 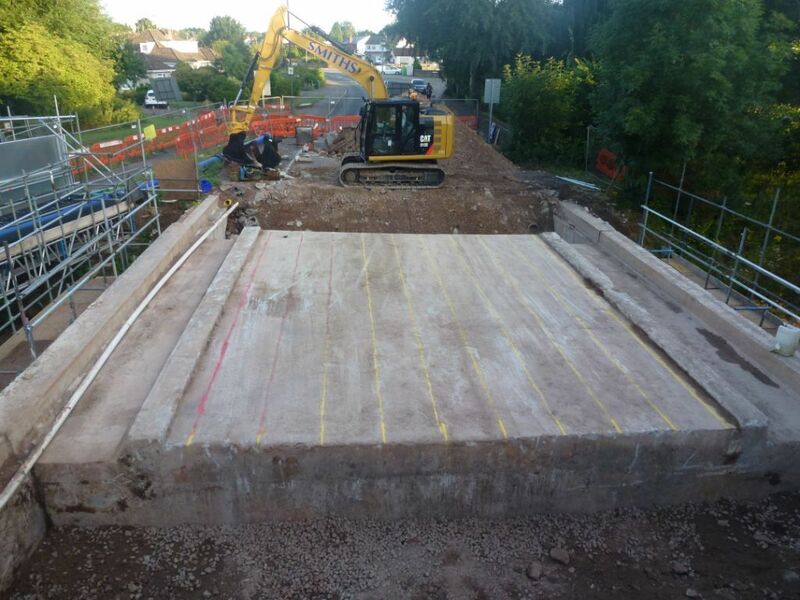 In the early hours of the morning on Sunday 20 July, Church Road Bridge in Frampton Cotterell was closed for the final time to allow replacement of the bridge deck that passes over the River Frome. 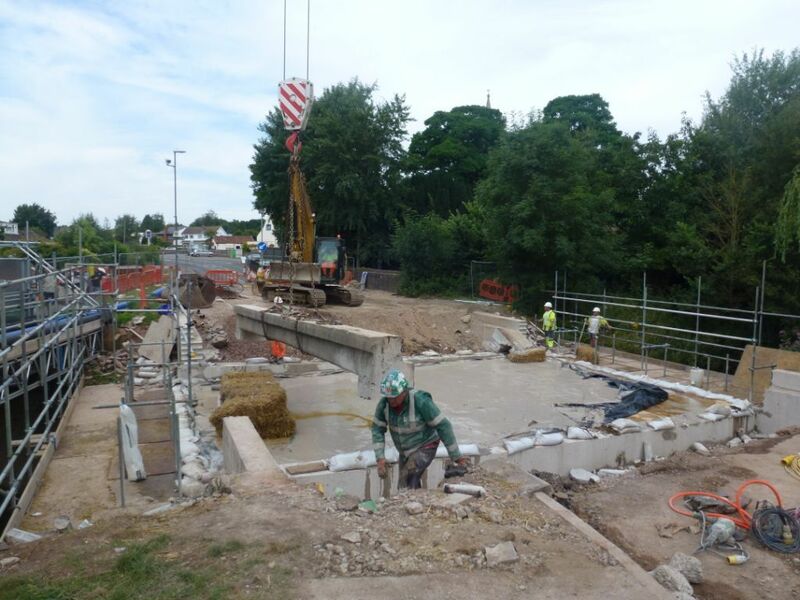 Our workforce worked throughout the day to remove the old carriageway surfacing, expose the bridge deck and its supports. 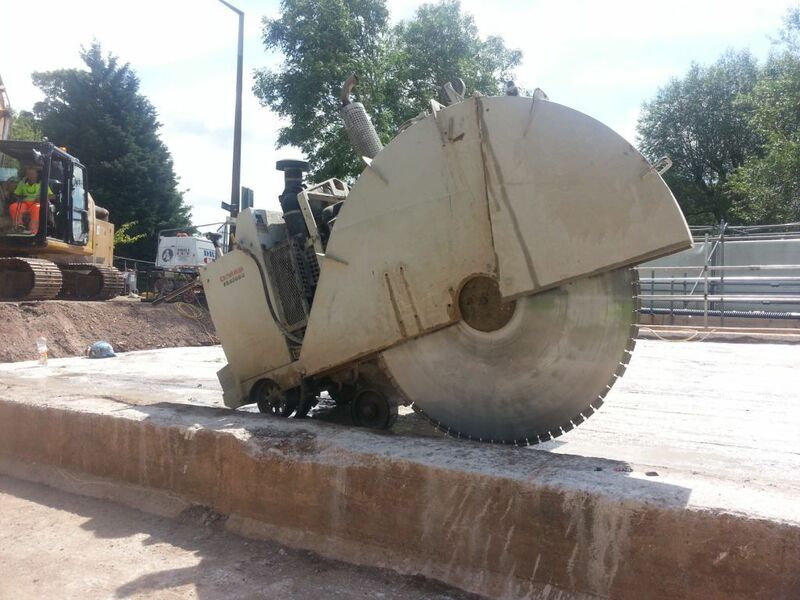 Throughout the week specialist contractors worked using a diamond saw to cut the 130 tonne bridge deck into manageable sections. Problems were encountered throughout the week with the positioning and spacing of some of the steel reinforcement, but operatives worked into the early evenings to ensure that project timescales were not compromised. 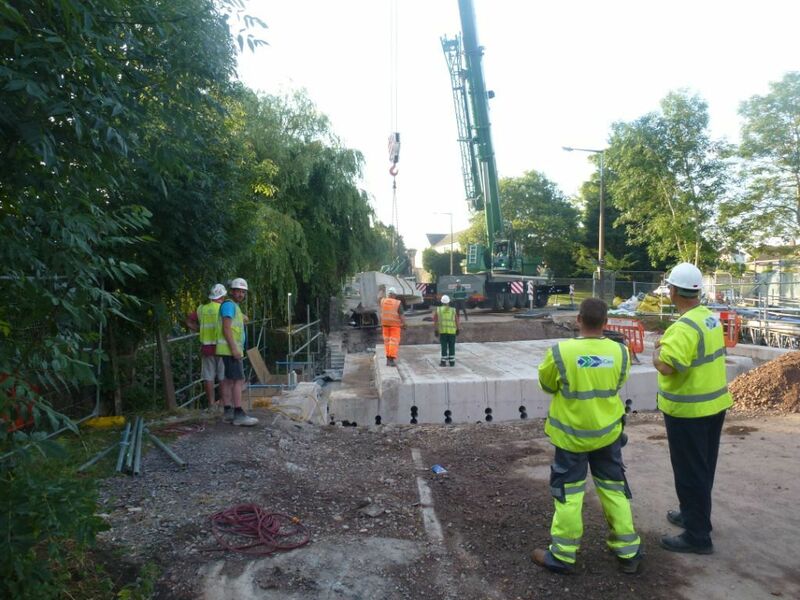 On Saturday 26 July, in front of a small crowd, the redundant bridge deck was lifted from its supports and hauled away from site where the old concrete will then be crushed and recycled. The demolition phase of the project has been completed on-time and now the next phase of re-building the bridge supports commences for a period of two weeks.